Very cute mountain chalet on quiet & level parcel, adjacent lot to the south is unbuildable adding privacy. 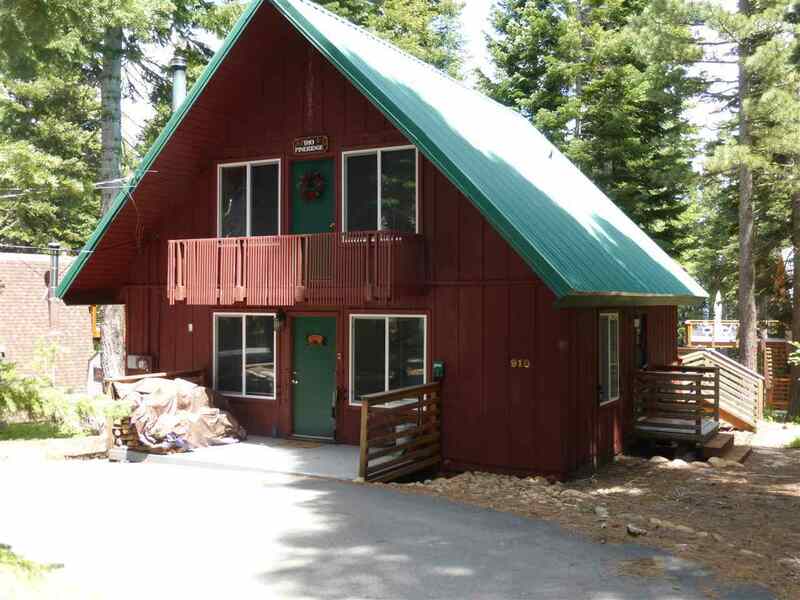 Access to the very popular Tahoe Park beach/pier HOA. Close to great back country hiking/biking/cross country skiing trails (Paige Meadows). Entry level offers the main living space (living & dinning rooms), hall bath, kitchen & one bedroom that has a slider to the back deck and spa. Upstairs has 2 bedrooms w/ vaulted ceilings & hall bath. Great yard for kids.